Britain has a new Le Mans hope, the all-new Ginetta G60- LT-P1 sports/racer, which stands “a pretty good chance” of outright success in this year’s 24-hour French classic, according to Ginetta boss and project kingpin Lawrence Tomlinson, so long as pre-season testing goes well. The G60, so named to commemorate Ginetta’s 60 years of continuous car building, is an all-new non-hybrid LMP1 design created and built in the Leeds factory where Ginetta makes its existing cars. There will be no works G60s: cars will be campaigned by privateer teams. So far, Banbury-based TRS- Manor has signed up for two World Endurance Championship (WEC) Ginettas and Tomlinson is closingin on a similar deal with a different team that will increase the contingent of his cars on the Le Mans grid to four. Unveiled at the Racing Car Show in Birmingham’s NEC earlier this month, the G60 will battle the latest version of Toyota’s hybrid TS050 for line honours at Le Mans on 16-17 June. Last year, Toyota narrowly lost Le Mans to Porsche (which has withdrawn for 2018) in a race whose leaders were so dogged by unreliability that a considerably slower LMP2 car nearly won. A Ginetta 2018 win would be the first outright British victory since Bentley’s success in 2003 and the first by a British-owned team since Jaguar in 1990. The Ginetta G40R stands alone in offering balance and ability in a closed-roof, track-focused road car. “We believe our car’s on the pace,” says Tomlinson. “All our numbers indicate it has the speed we need. "We don’t expect Toyota to run much quicker than they did in 2017, because the indications are they were right at the limit of the technology. Last year, given decent reliability, we could have run our car five seconds a lap slower than its potential and won the race. “The G60 started literally from a blank page,” Tomlinson explains. “We’ve worked hard on every detail. For instance, we could have used an existing LMP1 gearbox but instead we’ve designed our own gearbox casing to give extra rigidity. “We’re also using the best and latest carbonfibre for our panels. Not everyone realises it, but this is a material that varies a lot in quality. All carbon panels are light, but ours are so light they’re almost anti-gravity. Unlike the Le Mans Toyotas, the G60 is built to the organisers’ non-hybrid LMP1 rules and powered by a specially developed, direct- injection version of the Mecachrome V6 familiar from FP2 racing. This GDI version, modified at Ginetta’s request, allows drivers greater freedom to “turn up the turbo” when necessary. LMP1 engines all have induction restrictors: without that, a Mecachrome V6 GDI could probably deliver 900bhp, but, in Le Mans guise, its output will be closer to 700bhp. The G60 will tackle a unique 2018- 2019 WEC ‘super series’ of eight races that starts at Spa in May and concludes in June 2019 with a second visit to Le Mans. This transitional calendar is designed to position Le Mans as the WEC season’s finale. So for the 2019-2020 season, racing will start in October, probably in Asia, and conclude with Le Mans the following June. Could Ginetta win Le Mans outright at its first attempt? Even team insiders reckon it’s a big ask but, then again, McLaren pulled it off in 1995, one of the greatest wins of modern times. 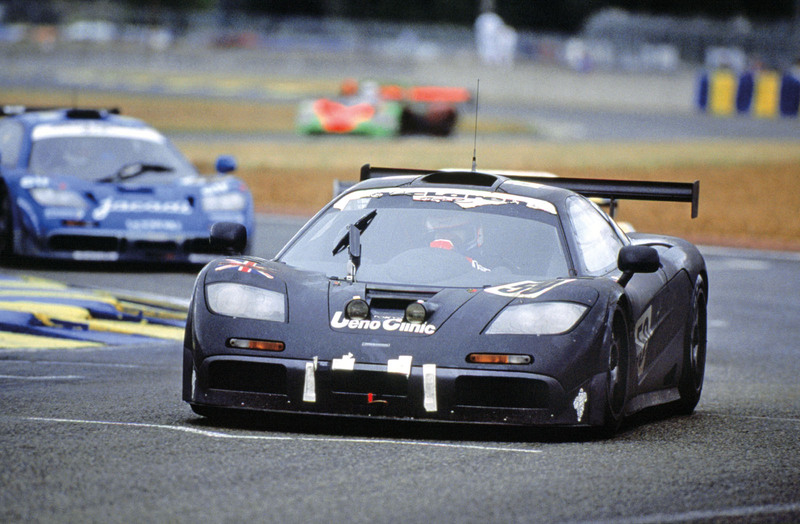 Not content with having launched the most famous car in the world (the F1), McLaren decided on a racing version (the F1 GTR) and entered several at Le Mans. The fastest – No59, driven by Yannick Dalmas, JJ Lehto and Masanori Sekiya – had had both engine and gearbox gremlins before the event. It should never have lasted the race, but constant rainstorms reduced the loads on its suspension and powertrain. Lehto also drove brilliantly, using the GTR’s driver visibility that was far better than the prototypes that should have been many laps ahead. The McLaren won by a single lap, but other GTRs finished third, fourth, fifth and 13th. With a decent run of reliability, Ginetta’s G60 would have run away with last year’s Le Mans 24 Hours. The tech-heavy front-runners, Toyota and Porsche, were so disrupted by malfunctioning hybrid gubbins that the winning Porsche barely beat the first LMP2 car. All of which illustrates the opportunity for Ginetta in 2018. Porsche has withdrawn, Toyota is bound to run conservatively and the new G60 (so its backers claim) has the speed to match it. At a stroke, a potentially uninteresting race has turned into a David-versus- Goliath challenge. Best of all, the Ginetta challenge is far from being a one-shot wonder. 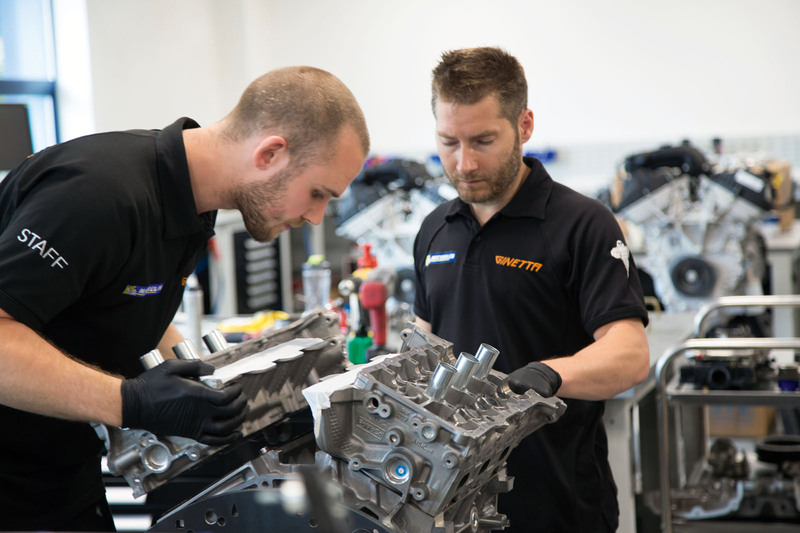 Ginetta is building 10 chassis, with a view to supporting 10 cars racing around the world. With the help of Adrian Reynard, it is continuing aero development, to make the car better. Ginetta boss Lawrence Tomlinson expects his cars to be racing this year, next year and the year after. Le Mans just got a lot more interesting. Any other manufacturer will say it takes 3 years to win Le Mans. I'd love to be proven wrong, but I just don't see a privateer managing to do it in 1. "Anti Gravity" bodywork and a fuel gauge accurate to 1 litre is not the talk of a Le Mans engineer. Best of luck to them though.